The 2016 Mazda CX-5 and Mazda6 have both received a “Superior” rating from the Insurance Institute for Highway Safety (IIHS) in its latest evaluation of crash prevention systems. Mazda’s i-ACTIVSENSE advanced safety technologies, an umbrella term covering a series of advanced safety features developed in line with Mazda Proactive Safety, which make use of detection devices such as milliwave radars and cameras, has enhanced safety and protection of occupants making these vehicles among the safest ever produced. More importantly, Mazda has also incorporated these advanced safety features in affordable models unlike most automakers who reserve these advanced technology features for only their most expensive models. 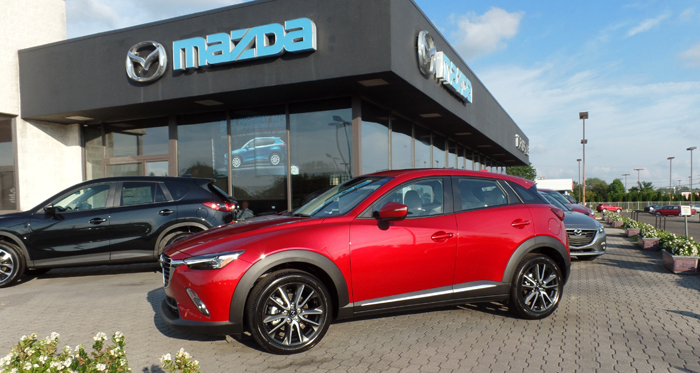 Mazda packs a lot of Excitment and Value in a sweet little package – IN STOCK – TEST DRIVE the All Wheel Drive Mazda CX-3. Following the foot-steps of the acclaimed Mazda CX-5 , the most admired car in it’s class, Mazda is introducing an ALL WHEEL DRIVE Compact unlike anything you’ve seen before. 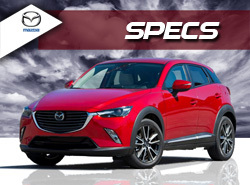 Loaded with State of the Art Innovations in comfort, convenience and safety, the Mazda CX-3 has adopted the exceptional Handling Dynamics of the Mazda3 and the best of the crossover segment from it’s big brother, the award winning Mazda CX-5. It’s steering is crisp and responsive while at low speeds easy and pleasant. Mazda’s commitment to performance and handing, apparent, not only in its sports models but its entire product line. This crossover offers a “SKYs the Limit” list of features with it’s suspension planted firmly on the road. We invite you to experience the Mazda CX-3 for your self.